Our comprehensive dog training website is your complete resource for all your dog related needs. 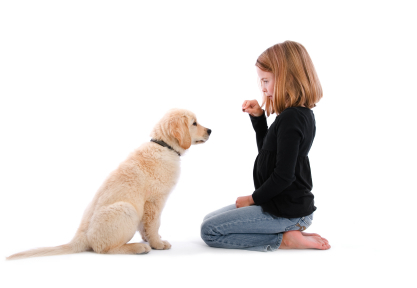 Our programs give you the necessary tools you need to curb bad behavior and promote good dog obedience. Whether it is a matter of housebreaking, or your focus is on behavior modification, you can transform any problem into success. Question: Why didn't your last training program work? It's a simple answer. It doesn't work unless you have all the tools necessary to complete the steps. We take the time to show you how to eliminate nagging problems such as housebreaking, barking, biting, nipping, jumping and destructive chewing and that is just the beginning. Humane training done correctly ensure that you and your dog can have a safe and happy life. If you are looking to have your dog come to you when you call him, or sit and stay while you open your door, you have come to the right place. But our training programs aren't just sit and stay. We teach you how to have respect and love from your dog through pack leadership. Of course you do! You are only a free telephone consultation away from fixing those problems and training your dog to the next level...and we GUARANTEE that FOR THE LIFE OF YOUR DOG. Let us make your current challenge our latest success. Start a training program today in the comfort of your own home with one of our professional dog trainers or train at our facility located at 109 Mass Ave in Lunenburg MA. Serving Massachusetts and beyond. DO YOU WANT TO SEE RESULTS TODAY? Do you want results today? When you sign up for any service | Serving Massachusetts and beyond. Prices and Services listed on website are subject to change without notice.